Congratulations are in order for Nickelback. The band’s politically-minded new single, “Edge of a Revolution,” just topped the BDS Radio active/mainstream rock radio chart, making it Nickelback’s eighth No. 1 rock single to date. Outside of radio, “Edge of a Revolution” is also No. 1 on the iTunes rock chart. 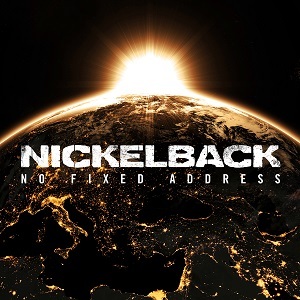 “Edge of a Revolution” is the Nickelback’s first single off their upcoming, eighth studio album, “No Fixed Address.” While the album was originally slated for a Nov. 18 release, the band has announced that “No Fixed Address” will now arrive a day early—- on Nov. 17.